Who needs a Valentine anyway? If you think February 14 is the absolute worst, you’re not alone. 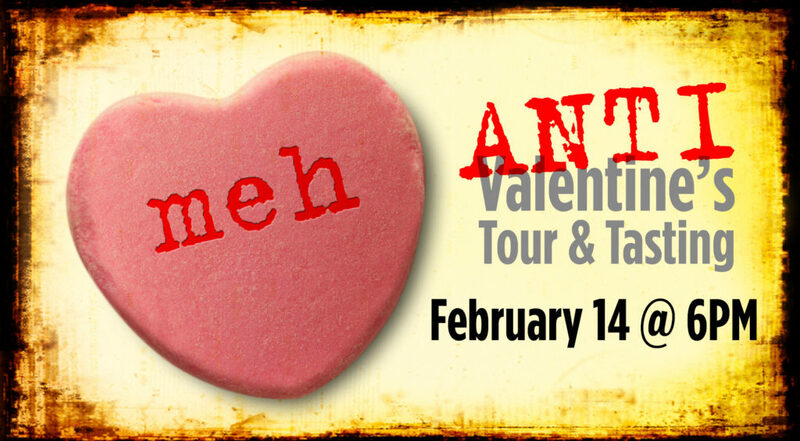 But never fear, the Anti-Valentines tour & tasting is back! 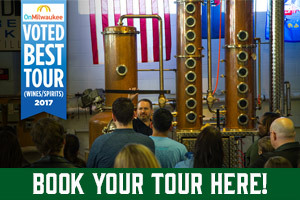 This $10 special tour & tasting includes a glass of our Unlovable Punch, and, of course, make your own conversation heart to put on the wall! Post a picture of you and your conversation heart on Instagram with the hashtag #gldmeh for your chance to win a bottle of our spirits!! Space is limited so reserve your spot today! Looking for a unique cocktail? Try our Cocktail database. What’s that stuff in my whiskey!? Distillery friend Felix- Caught in the cracks of the system is a man without a country. Exclusive Happy Hour for Copper Still Society members and a guest. $4 cocktails start at 5pm. 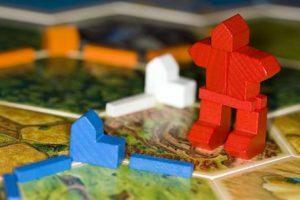 Want in on the $4 Happy Hour? 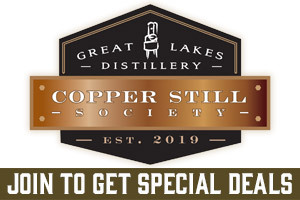 Join the Copper Still Society. 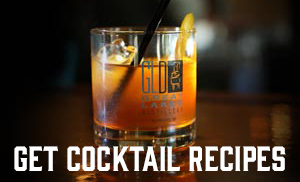 © 2019 Great Lakes Distillery Please Drink Responsibly. The content on this site is solely intended for those over the age of 21.